Minimum Bulk Order Just 1/2 lb! 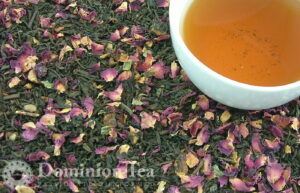 Inspired by Virginia’s long history of Apple production and the beautify blossoms of spring. 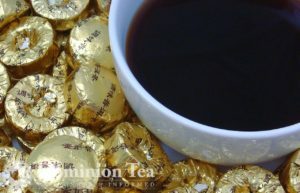 Classic, compressed style of dark tea from Yunnan Province China. 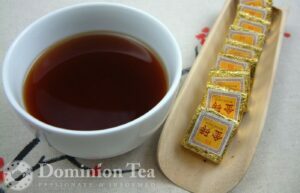 This shu puerh (cooked puerh) is very similar to Puerh Tuo Cha but in the shape of a square instead of the birds nest shape that is typical of tuo cha. Features a robust, soothing flavor and sweet notes of dark mocha. 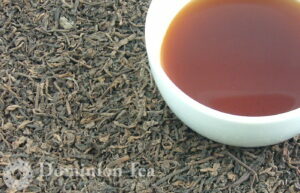 Sticky rice puerh really does have the aroma and taste of sticky rice coupled with earthy notes of cooked puerh. Each tuo cha piece is the perfect size for western size mugs making it simple to offer in coffee shops, restaurants, and more.